A beautiful building which has a left-right personality. On the left side is a fairly conventional-looking building. 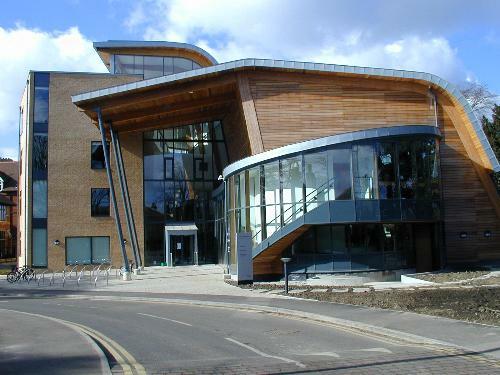 On the right is the modern look, with curved glulam beams and behind there is a wonderful north-facing undulating window for the library, with good reflections of the sky and nearby trees.